So it's the end of February, which means Spring Break is almost here, and that also means I will be able to post a lot more ootd looks. I have been so busy with school lately, so I could not find time to take pictures. Luckily, this weekend I had plenty of time. I was actually very productive this weekend, and that makes me feel a little good, but I can't promise that I will be productive for the rest of the week. Since we will be entering March soon, this means that spring is on its way. Spring is my favorite season because it's not too cold, but it's not too hot; it's just perfect. Also, I know how to dress for spring better than winter and fall combined. The transition into spring weather is when I start to think about what I stored away in my closet at the end of the summer. I love the way rompers, short and long, look in the spring. Solid colored rompers are great for a very casual look, while printed rompers add a twist. I still keep my jeans around because the weather is not always warm, and I can wear any shirt with a pair of black jeans. I chose this white button-down shirt, and tied the front, to achieve a simple, chic, look. To top my whole outfit off, I wore strappy heels (which are a MUST for spring), this see through bag that I got from an English boutique, and one of my favorite pairs of sunglasses. I'll be sure to keep you posted for some more looks in the next few weeks. Much love. This is definitely my favorite look of yours, but I say that about all your outfits. I'm becoming obsessed with your blog! 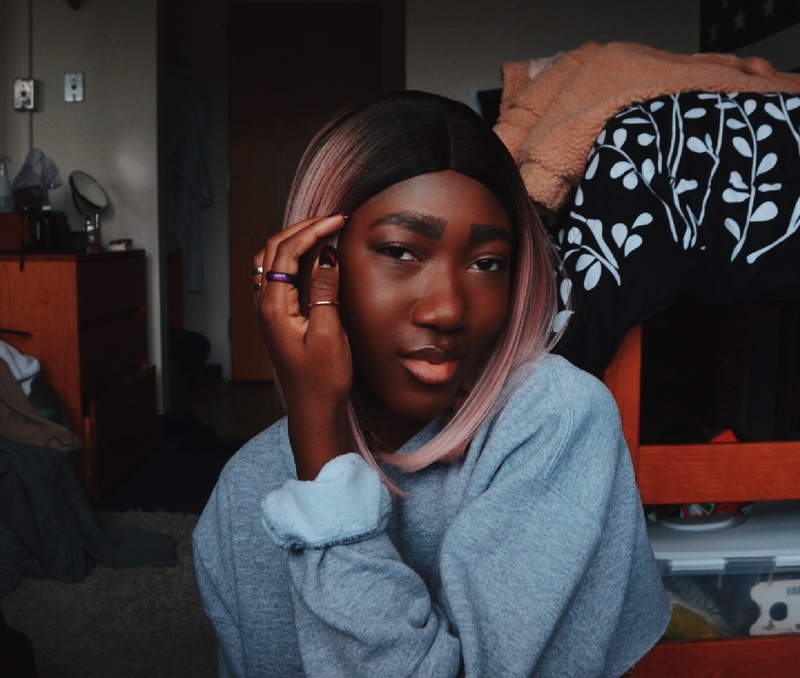 This look is so hot Great post!